Last Friday, Canadian road pro Francois (Frank) Parisien officially drew the curtain on an accomplished career. Frank was national champion in 2005 and took a win on the WorldTour this season (stage 5 of the Volta a Catalunya). 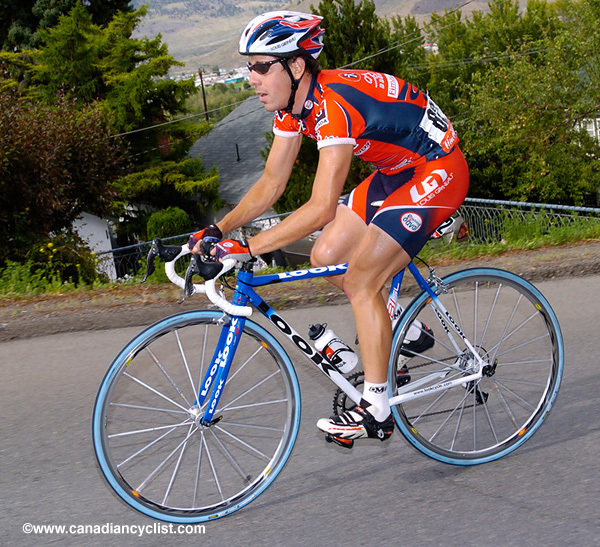 He finished his career with Argos-Shimano and prior to that was a member of Canada's first Pro Continental team - SpiderTech. You can read Frank's retirement statement Here. We spoke with Frank in more detail about his career and future plans. Canadian Cyclist: First question: why are you retiring now? The obvious possibility this year, with all the teams disappearing, is that you couldn't find a team to ride for - is that the case for you? Frank Parisien: I didn't really look for a team, to be honest with you. I told my agents that, for sure I wasn't going to sign for a minimum salary. I didn't want to keep going with that condition, so I put the bar pretty high. I put a price and told my agent I wasn't taking anything less than that. I knew when I told him that, that it was going to be pretty hard with the market the way it is, that it was going to be 95% that I wasn't going to get a contract. Already before the races in Montreal and Quebec City [the WorldTour races] it was clear in my mind [that he was retiring], but I just let the season finish, just in case something happened. I didn't like to close the door, so I kept it open just to see what was going to happen. But I knew where I was going, and during the rest day between the Gran Prix Quebec and Montreal I had a meeting with the owner of PowerWatts and that's where I made my decision. I told him 'I'm going to be working with you' and kept my door open until the end of the season and announced then I'll work for PowerWatts. I wanted to make the announcement on the first of November, but because Ryder made that announcement [admitting to doping earlier during his mountain bike career], I didn't want to have what I wanted to say about my career diluted by that terrible news. So I just let it pass and waited a few weeks, because I wanted to talk about my career, I didn't want to talk about anything else. I think I had said enough about what I thought about the whole doping thing [in earlier statements]. CC: One of the questions I have to ask is how much the doping situation had to do with your decision; getting tired of having to always talk about it, or missed opportunities? Or did that not really have anything to do with your decision? FP: No, my decision was not related to that. Of course, I'm really mad about all the opportunities I missed because of them [specifically Ryder Hesjedal and Michael Barry, and national team projects], but that started to happen as soon as I arrived in Europe as an amateur. I was already affected by that, even in the amateur ranks it was pretty bad, so already there I was confronting doping. I was dealing with that my whole career. I chose my path, I think it was the right path, and I'm really proud of that, and that's why I'm talking the way I'm talking. So basically, no, my answer is no, my decision [to retire] is not related to doping. The whole doping thing in cycling really affected me in a negative way, for sure, but it's not the reason that I quit. Actually, I'm going to correct my words: I'm not quitting, I'm retiring. This is very important: I'm not quitting cycling, I'm still going to ride my bike, I love the sport. I'm just not going to make a living out of professional cycling anymore. CC: In some ways it seems rather an odd time to pull the plug after what could be considered your best season ever. FP: I'm going to be 32 years old next season and I've been riding and focussing all my life around cycling for 18 years now. So, if you look at the big picture I've done a lot, and in my mind I was not ready to keep racing in those conditions. If you had told me one year ago when I was on SpiderTech [that there was a chance to race on the ProTour] I would have done everything I could to race at this level. But now that I have raced in the ProTour and shown myself and proved to myself that I could perform at that level, and I deserve to be at that level, that was my dream. 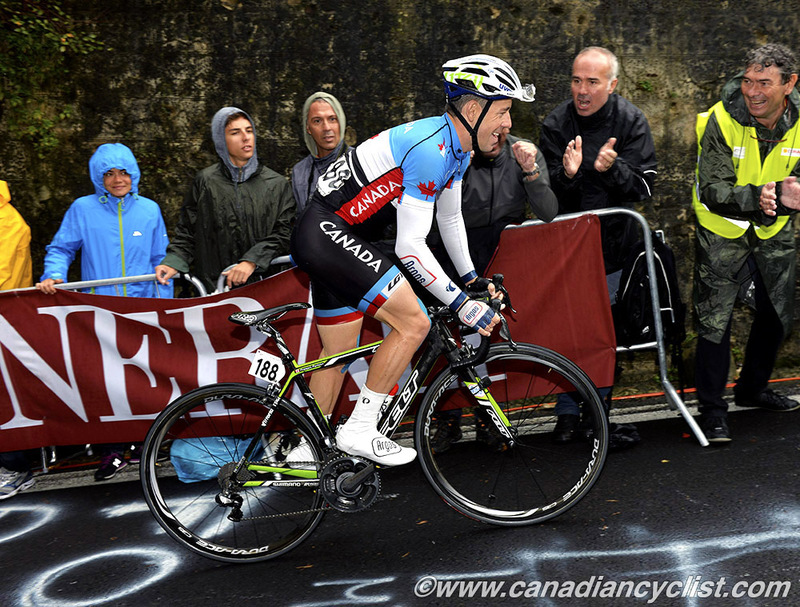 CC: You and David Veilleux are both retiring, two of a very few Canadians racing at the ProTour level. Why do you think we are seeing riders like yourself and David pulling out? I don't expect you to speak for David, but it is interesting that both of you would say 'I'm done' in what could be considered your biggest season. FP: I think the reasons are different, but if you look at the big picture, David, he had accomplished his biggest dream: he wanted to compete in the Tour de France and finish it, and that's done. So, from what I understand, he has other goals in his life, and I think he was just tired of racing in those conditions. You know, we go away for nine months of the year, we never see our families ... so I think many of the reasons are the same. On top of that, I think David has a brilliant future. He is a really talented and smart guy [Veilleux is finishing up an engineering degree]. So I think he wants to accomplish what he can with his studies, and on my side, well, I think I can give a lot to the [cycling] community and young cyclists, and all level of athletes. I would like to give back; I've received so much over my career that if I can give back and help other athletes to achieve their goals, then I would be really happy to do that. CC: So what is your job going to be with PowerWatts? FP: At first I'm going to be touching a little bit of everything. I think I'm pretty good with the communications part, so I'll be in charge of some of the communications, and doing some promotional events; try to make the brand bigger. Also I'll be coaching a little bit, do some PowerWatts classes, I'm even going to learn how to run the whole business. The main goal is to maybe one day open a franchise of the PowerWatts program. So the goal at first is to get in the company and touch a little bit of everything. We'll see how good I am and then focus on the area where I excel the best. CC: Would you consider working with the national team? Possibly coaching or managing? FP: I'm not closing any doors. I've talked with Jacques Landry [Head Coach] and Kris Westwood [High Performance Manager]; at the [Road] world championships we had a pretty good meeting. They're receptive, I'm receptive ... so we'll see in the future. At first I'm going to focus on PowerWatts, but you never know; maybe I'll work with Cycling Canada at some point and maybe even the Quebec federation. Like I said, I'm not closing any doors, this is a new life starting right now, and I think there's lots of possibilities. But at first I want to go with PowerWatts. They've been really helping me, and they are a big part of the reason I made it. When I was really hurt with SpiderTech, they helped me fix my knee, find the problem and basically I got some pretty good results, got a ProTour contract and I think I did some pretty good performances partially because of them. So, I'm really happy they gave me this chance of joining their team and working with them. CC: Let's talk about results. I remember you winning Nationals in 2005. Ryder Hesjedal's there, everyone is watching him, and then you made that bold move off the front. FP: [Laughs] Yes, I really remember that race, it's one of my best memories. Of course, this year's world championship was also really good for me; even though I didn't finish, I really enjoyed doing the race. 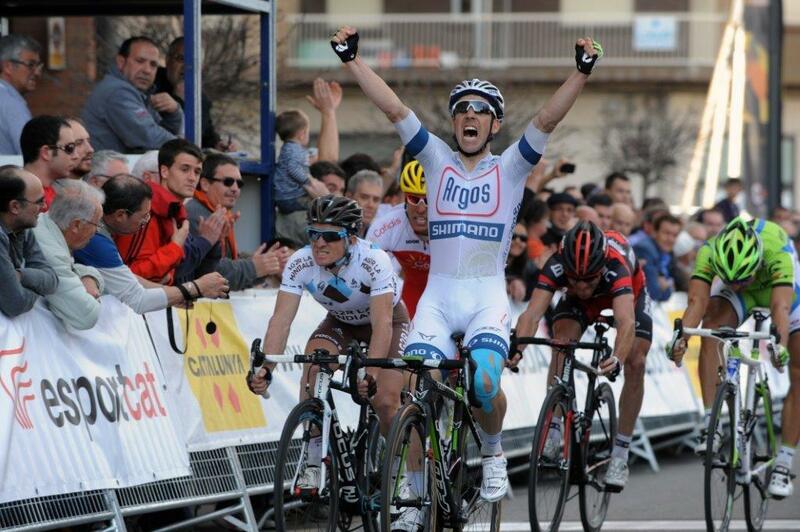 Winning stage 5 at Catalunya was really, really good as well. But winning the Nationals was really, really special. I think that's where my professional career got started, that's where I got noticed. At the time, I was a little, young, amateur guy, and I didn't have anything to lose. I just started to attack from the gun [laughs], and I knew everybody was going to watch Ryder and, at the time Dominique Perras was there, and Eric Wolhberg was there, Svein [Tuft] was there ... so nobody really knew me at the time, really I was the underdog compared to other riders. So I made some pretty ballsy moves and I think some other riders made some stupid decisions ... spending a lot of energy bringing me back. When you get your big results you need a little bit of luck, and I think that day everything was good for me and for some riders everything was bad for them. I almost lost my cassette at the back, I remember. When I crossed the line it was all loose - one more lap and I would have had to stop and change my wheel, so I was lucky, it was really a special day. CC: So would you pick that as maybe your best memory? FP: The biggest memory is really this year. I did a lot, most of my memories are this year. I really enjoyed it. The world championships were really special, I gave it everything I had. The WorldTour race that I won is by far the best, best memory and the best feeling I every had on a bike. But also just doing the Amstel Gold race, or Liege-Bastogne-Liege, even though I started sick ... those races are so special for me. I was really happy to be part of that. Those memories I will always remember.